Plants to be entered into our trials are received in a variety of ways. About one third are germinated from seeds while the remainder originate as rooted cuttings or established cell plugs. Virtually all are grown within controlled greenhouse environments prior to placement in protected outdoor structures for hardening off. They were planted into their permanent trial bed locations on May 1, 2018. The predominant plant spacing in the bed trials was 18 inches × 24 inches (in-row × between-row spacing). Seven plants of each entry were used to evaluate landscape performance. Hanging baskets contained three plants and were replicated three times. Containers had one plant each and were replicated five times. All ratings were taken weekly. Plants were given a visual rating weekly by the same person beginning May 25, 2018 (about three weeks after planting) through September 30, 2018. The overall rating was based on plant performance and appearance, including floriferousness, plant size and shape, and freedom from insect and disease problems. The rating scale ranged from 1 (very poor) to 5 (excellent) with 0.5 unit increments possible; a 0 rating indicated that all plants of the cultivar trial died. 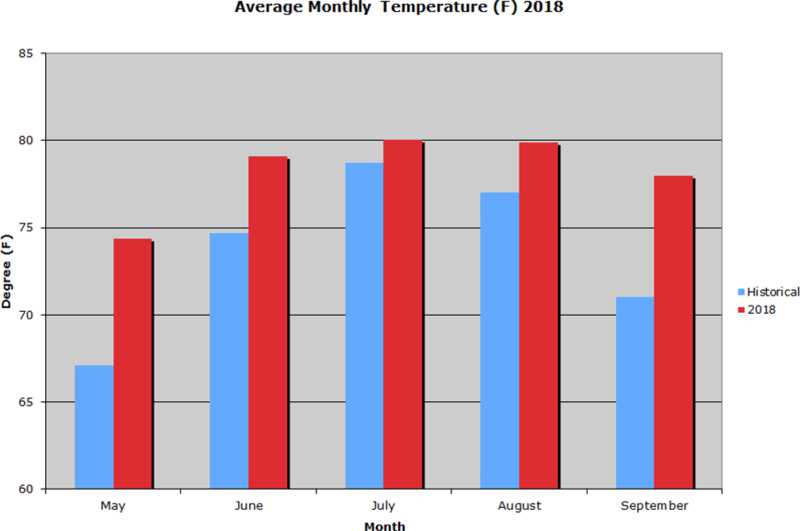 Our growing conditions this summer were warm, nothing record breaking, yet persistent heat. The rain was significant, but not record breaking. The precipitation was normal for May but very dry in June. 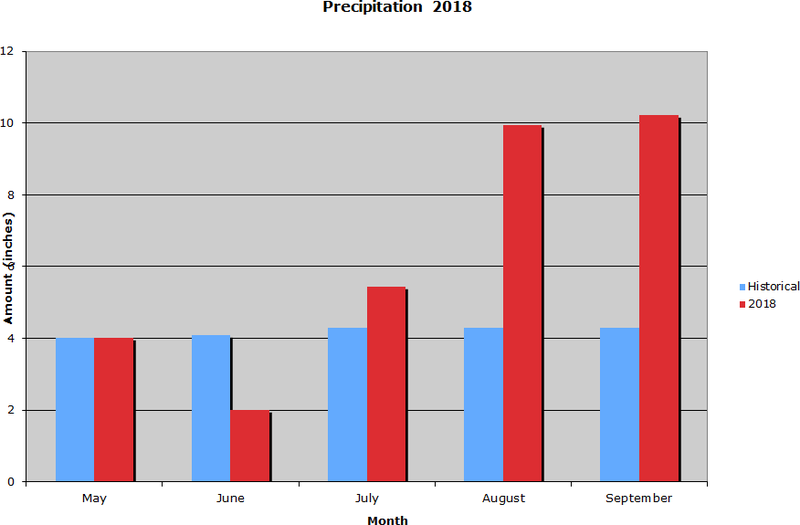 July was slightly wetter than normal with August and September receiving more than twice the usual amount of rainfall. We did not have any 100° days. We did have some big heat—it was hot. We had 56, 90°+ days with the warmest being 99° seen on June 19. Our longest stretch of 90°+ days occurred early in the season, from June 17 through June 25. Our greatest amount of rainfall, 4.5", occurred on August 20. In September, Hurricane Florence dropped over 7” of rainfall over a period of several days. Many of the plants didn't survive the saturated soils and of those that did survive the high heat that followed negatively impacted many.